The Colouring Book of Cards and Envelopes: Amazing Animals and Beautiful Birds is illustrated by Rachel Cloyne and published and kindly sent to me to review by Nosy Crow. This book is the latest in a huge series of Colouring Books of Cards and Envelopes, the others have all been illustrated by Rebecca Jones and had nature and animal themed cards, this new book is one of two which have been created in partnership with the British Museum and while the production quality and style is identical, the content is quite different, to read more about that skip to the third paragraph. The book itself is large at 28cm square, it’s paperback with a flexible card cover with gold foiling lettering and detail. Inside the front cover are instructions detailing how to fold the envelopes for the cards. Following this are pages of colourable cards with two on each page connected by tabs on perforated pages which are very easy to remove from the book with no issues or bending and a thin strip that the perforation is attached to that you can cut off with scissors to neaten up the card edges. There are 24 cards, each with a unique design, and all 4 sides of the cards have illustrations on that you can colour including a “Coloured For You By…” section on the back, they measure 13.5cm square when folded. Following the card pages are 24 unique envelope designs that match the cards perfectly and are printed in the same order as the cards so it’s very easy to match up the paired cards and envelopes together. The envelopes have illustrations on the front, each of the four flaps, and the whole of the back of the page which makes up the inside of the envelope has a repeating design on it that can be coloured if you wish. The folding instructions are very clear and easy to follow and the pre-scored lines on the cards and envelopes allow for a perfect fold every time. On the very last page of the book are 24 circular stickers with matching designs to seal the envelopes with. One small gripe I have is that these stickers are arranged in a random order and it’s not clear which card many of them are designed for, with many being suitable for a number of cards which just irks the perfectionist in me. The card itself is bright white, medium thickness and lightly textured. I experienced absolutely no bleeding and very minimal shadowing when using water-based pens; alcohol markers will bleed through. Pencils would be ideal for these cards if you’re wanting more subtle colours, or wanting to blend and shade. The envelopes are printed onto bright white, thick paper which I didn’t experience any bleed through of water-based pens on but did get the lightest of shadowing when I coloured too slowly and the ink saturated the paper a bit much so do be careful if you’re wanting the inside of your envelopes to remain pristine for colouring too. Sadly, the space left on the front of a few of the envelopes is pretty small and not exactly suitable for a normal length postal address and there is also no space for a postage stamp. You could add an address label, and simply stick the postage stamp over the design but for perfectionists like me this isn’t an option and it is a shame this wasn’t quite thought through. When posting these cards to friends and family I will be popping the whole thing inside a normal envelope so that I can keep the envelope design intact. The content is unusual to say the least, the artist took inspiration from objects from the British Museum’s collections and so rather than showing scenes or the objects themselves each card shows a pattern inspired by the original object. The theme is animals and birds and each card has an animal or bird themed pattern or scene on it, similar to that found on the original object. I wasn’t a fan of how the patterns translated into cards in the other title Fabulous Flowers and Perfect Patterns, but these animal cards have actually worked quite well, there is a good level of interest and the scenes and patterns are nicely drawn and seem a bit less random. I still don’t like these cards as much as the original sets created in conjunction with the National Trust as they were cuter and more fun to colour but these are nice nonetheless. The artwork in this book is much more polished than that in the other British Museum title and there are no issues with varying line thicknesses or pale print, these lines are a consistent size and properly black. There is a good variety of images inspired by all sorts of different objects, each one handily noted on the back of the card so you can research each object to find out what it looks like and use the original colours or your own imagination if you choose. On the inside of the back cover are small photographs, each shown in order and labelled, of the objects the cards are based on, these are a bit small to see for giving proper inspiration but it’s nice to know what you’re looking for when researching the objects online if you wish. The animals and birds include all sorts from camels to dragons, peacocks to horses, elephants to tigers and rabbits to hippopotami, there’s a great range of animals included and all sorts of types of images including mosaics, patterns and scenes. 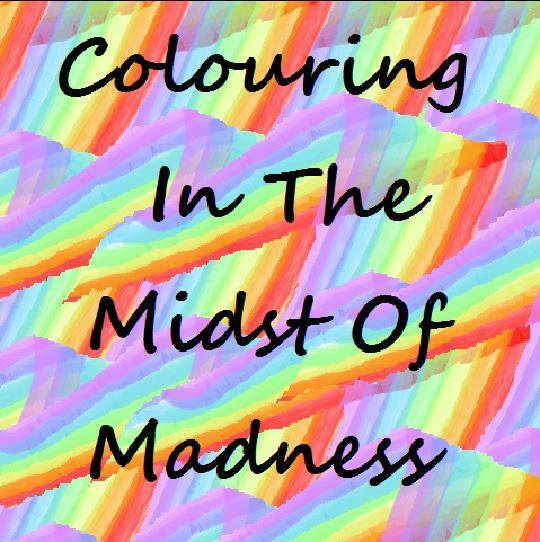 In terms of mental health, this book is pretty good, it’s got loads to colour and makes a great project, it’s always nice to colour something with a purpose and you could either display the cards yourself once they’re finished, or send them coloured or uncoloured to family and friends, they could be a great way of getting non-colourers started! The line thickness is consistent throughout and remains thin but not spindly thin. The intricacy and detail levels vary with the envelopes being less intricate than the cards which are highly detailed and intricate, therefore, you’ll need pretty good vision and fine motor control to enjoy these cards. You will need good levels of concentration but the cards do have lots of component parts so you can always colour a small section on a bad day or a full card and envelope on days when you’re feeling more capable. These cards take a surprisingly long time to colour so you’re really getting good value for money with these sets as you’ve got hours and hours of colouring time as well as something really useful and usable that can then be sent to others to share the colouring joy! The content is nature-inspired and quite cute, not as cute as the original titles but pleasing to colour nonetheless. Overall, these cards are nice, I’m not wowed by the content but they’re a clever idea and they’re cute designs, certainly unlike any I’ve seen in any other book. They are a good combination of history, antiques and colouring and would make a great quirky present for someone. The production quality, as always, is outstanding and I’m sure these cards will appeal to many. The card below was coloured with Stabilo Point 88 Fineliners and Stabilo 68 Fibre-Tips.